Because you’d think that would be enough right? Or maybe one dead body raised to life. Yet, the Israelites got to walk through the Red Sea [Exodus 14]. And on a number of occasions the disciples watched Jesus bring people back from the dead [Matthew 9 and more]. And both groups, despite seeing God work incredible 3D-movie-type surround sound miracles, end up doubting God and being confused about who Jesus is. I grew up in the church and made a commitment at a very young age and my growing up experience was one where I really felt God’s presence. I always felt close to God, as if He was right near me. Until I didn’t. I went through a year and a half period where suddenly God seemed so far away. And when He has always felt close, a year and a half is a very long time. I got to the point of actually considering that maybe my “feeling God” was a childish thing that I needed when I was younger, but now that I was growing up I needed to just rely on faith. Then the feeling came back. And it seems so much easier to believe when the feeling is there. But later it disappeared again. This time though, my faith was strengthened by the fact that I had gone through all of that before. I survived 18 months without feeling God so surely this time would be easier? And it was. One of my favourite verses is Psalm 34:18, ‘The Lord is close to the broken-hearted and saves those who are crushed in spirit.’ You can’t get any lower than having your heart broken or your spirit crushed and yet EVEN THEN, even in those most horrible places, God promises to be there. Not think or believe or hope, but KNOW. 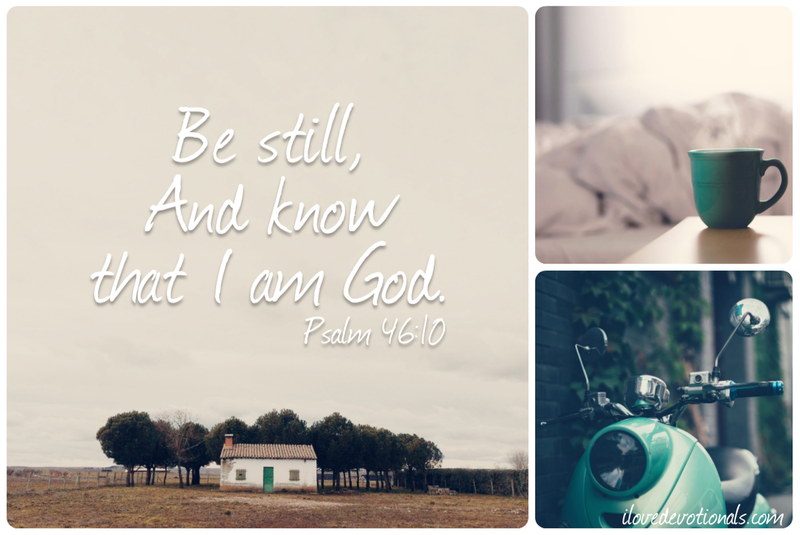 In the busyness of life we tend to always be rushing and I have found that stopping, unplugging, disconnecting, creating space and just being still is a great way to reconnect with God. And so I try to make regular times for that. I believe it is the desert times that help make the mountaintop times [when God feels really close] so much more refreshing and life-transforming. When those come, look back and be reminded of the times when you knew without a shadow of a doubt that He was there for you. And make some time to be still. Ponder: What do you do when you no longer feel God’s presence? Leave your experience in the comments. Prayer: God, I can’t feel your presence. Help me in my unbelief. Help me to know you are God again. Amen. Brett "Fish" Anderson loves God, loves people and follows Jesus. He is married to the Beautiful Val. He also is the owner of the world’s most famous dolphin, No_bob. You can read his blogs at Irresistibly Fish. If you have R100 (about $10) you can get hold of his new book, 'i, church'. You can also follow him on twitter at @brettFishA.